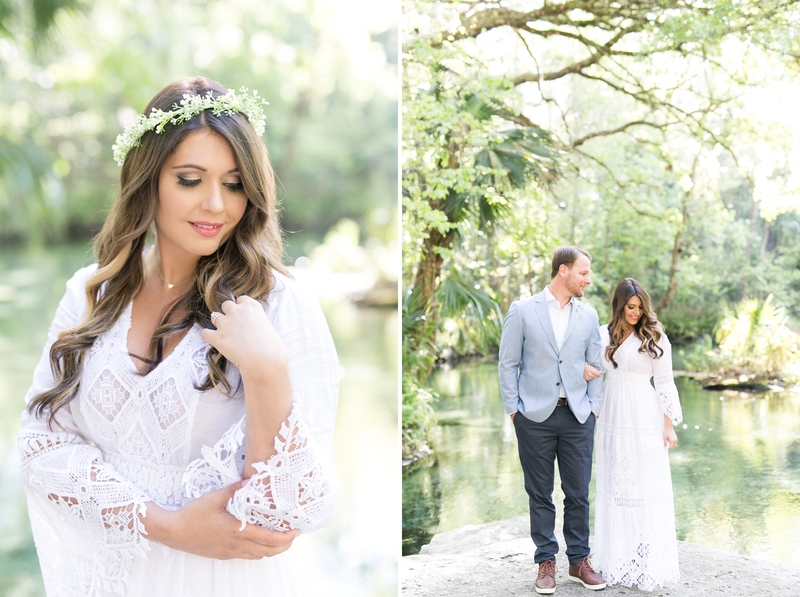 Amalie met Christina and Chris out at the beautiful Rock Springs for their sweet boho-styled engagement session. 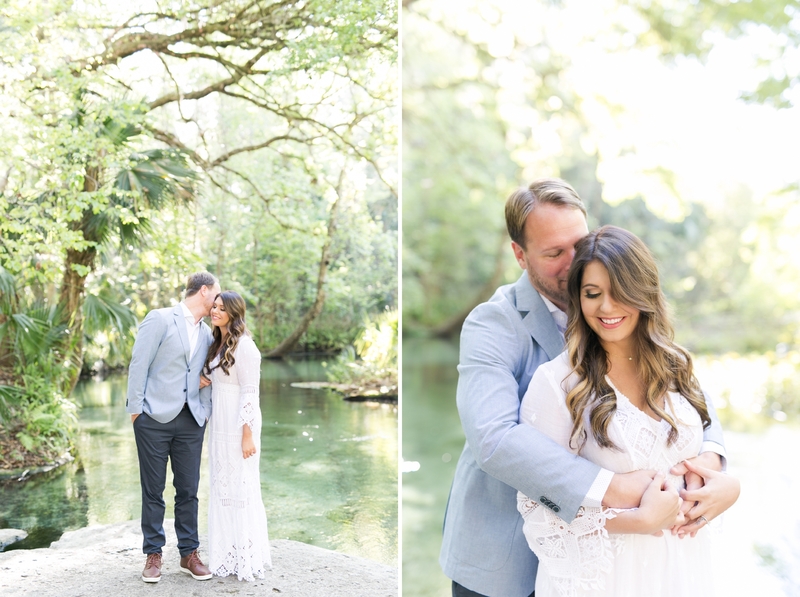 They love the outdoors and being out on the water – so it only seemed fitting that they did their engagement session at one of Florida’s most beautiful natural springs! 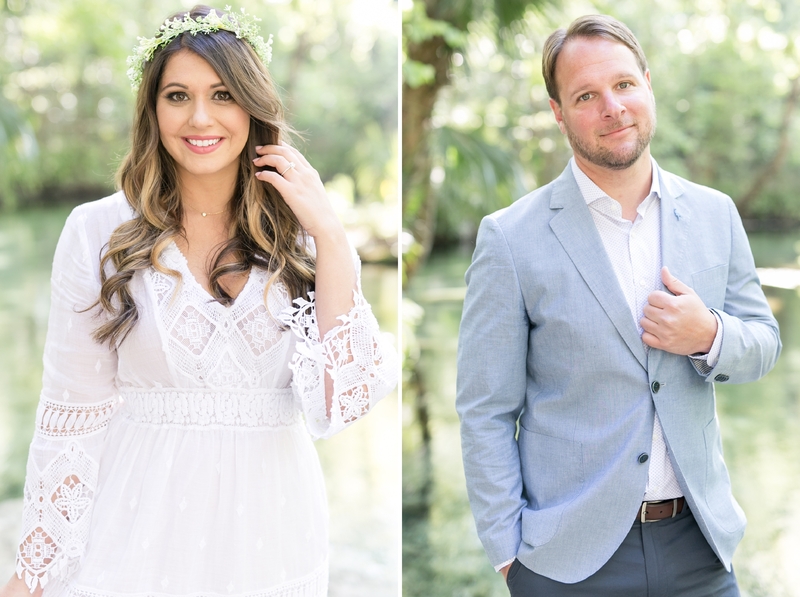 Chris and Christina met four years ago on a little app known as Tinder! Chris was the first (and only) person that Christina had talked to from Tinder. 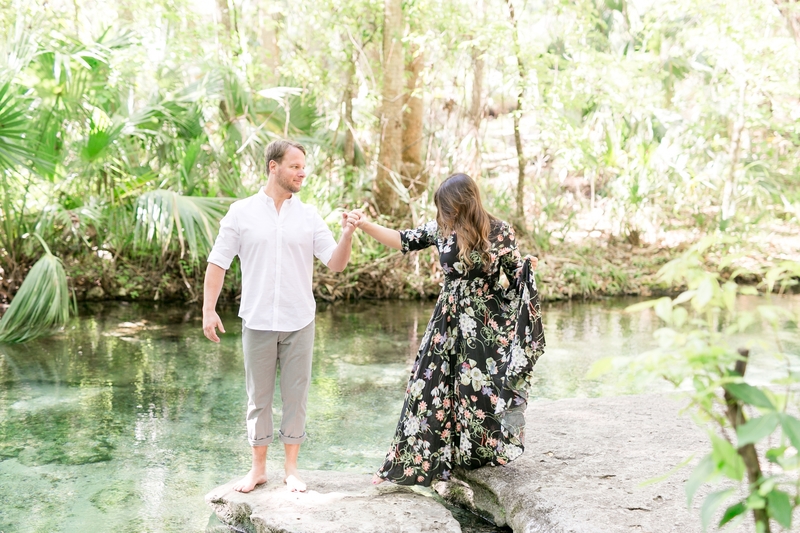 Conveniently, Chris was visiting Orlando the first night Christina chatted with him. Tinder is based on location so had the stars (and swipes) NOT aligned, they would have never met! 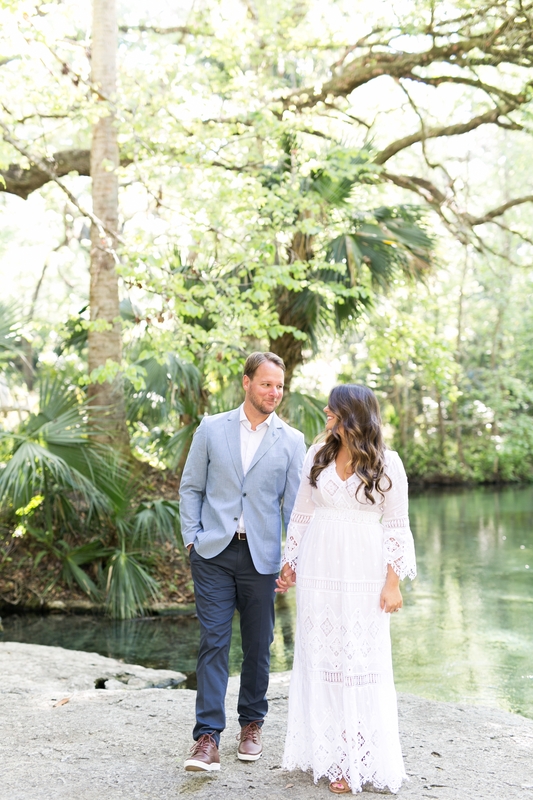 The Harris Chain of Lakes are very special to Chris and Christina. 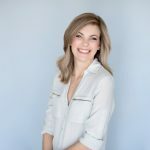 It was the reason they moved to lake county and started their roots there. 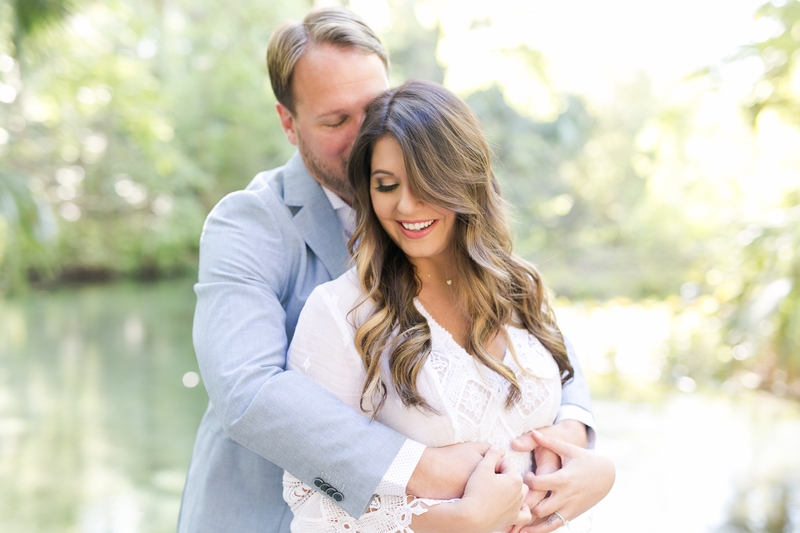 This also helped them decide on their wedding venue, Mission Inn! 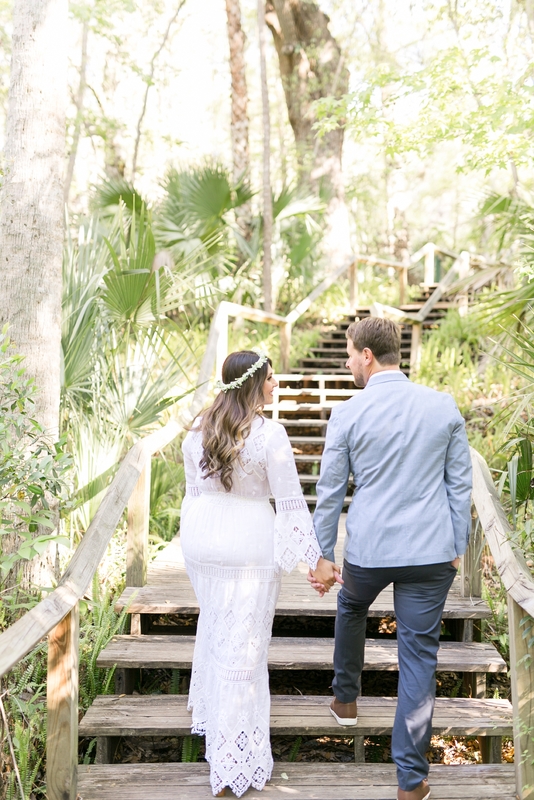 Their ceremony and reception are going to be overlooking Lake Harris. 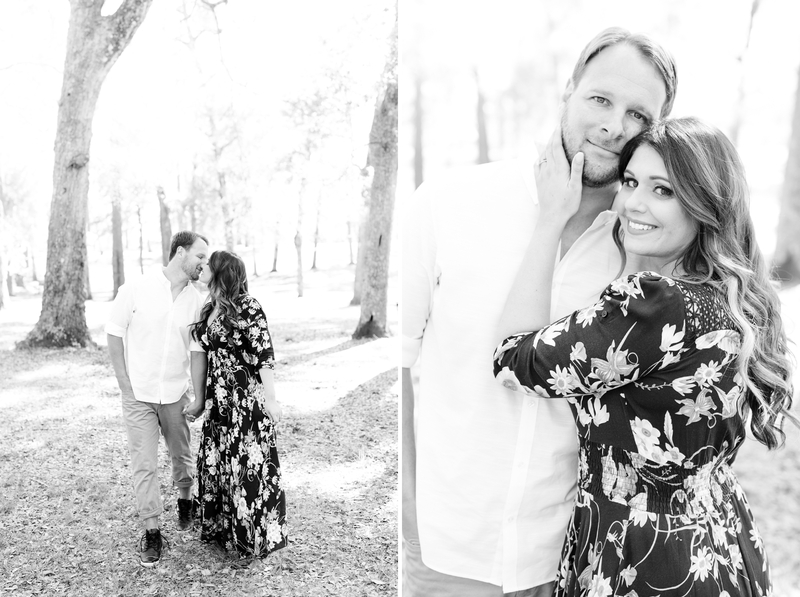 They are so excited for their wedding day to get here and celebrate with family and friends. 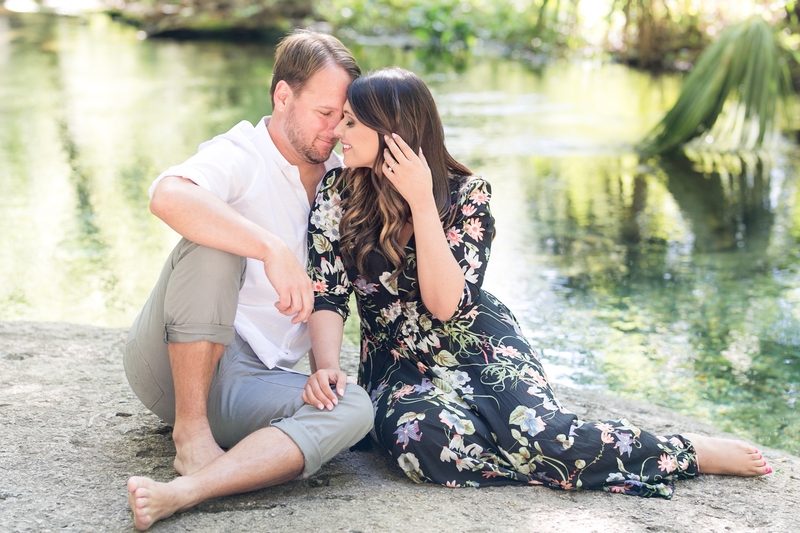 It’s also going to be an exciting weekend because their wedding weekend falls 2 days before their 5 year anniversary! 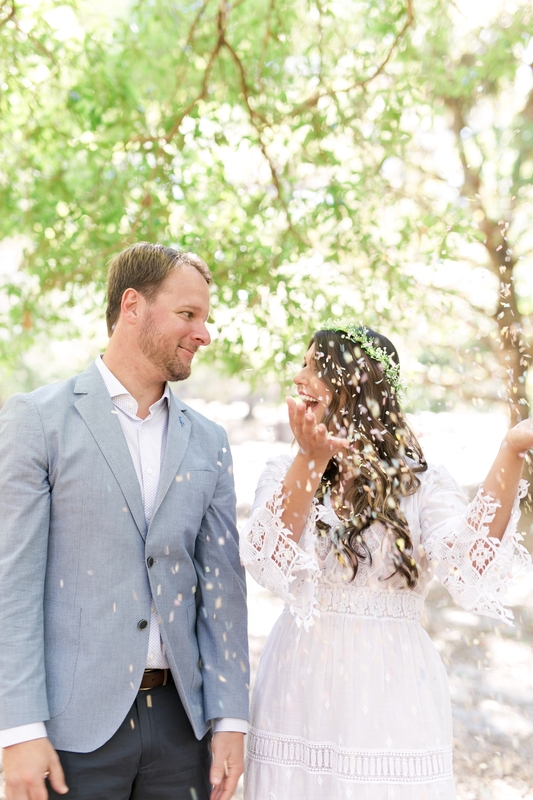 Congratulations Christina and Chris, we love these images that Amalie captured and we can’t wait till the wedding day. 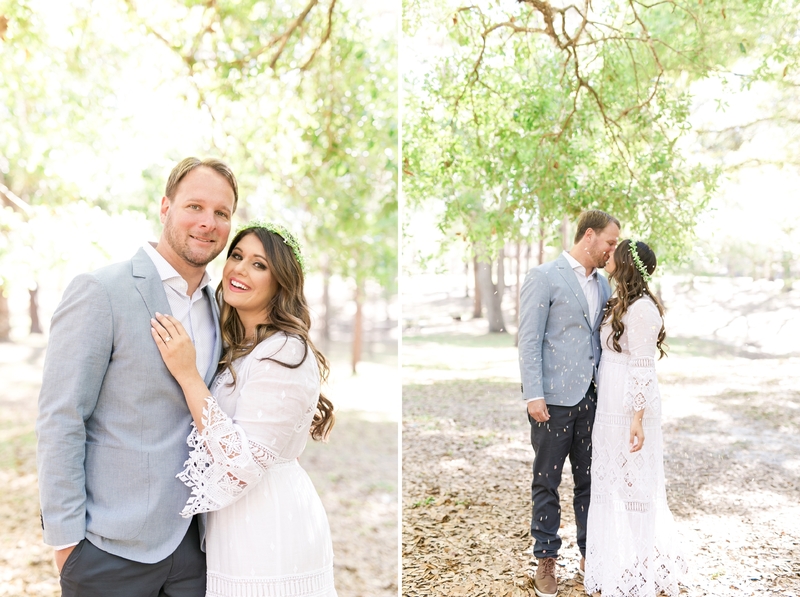 We loved Christina’s choice to wear a white bohemian inspired maxi dress with lace details! 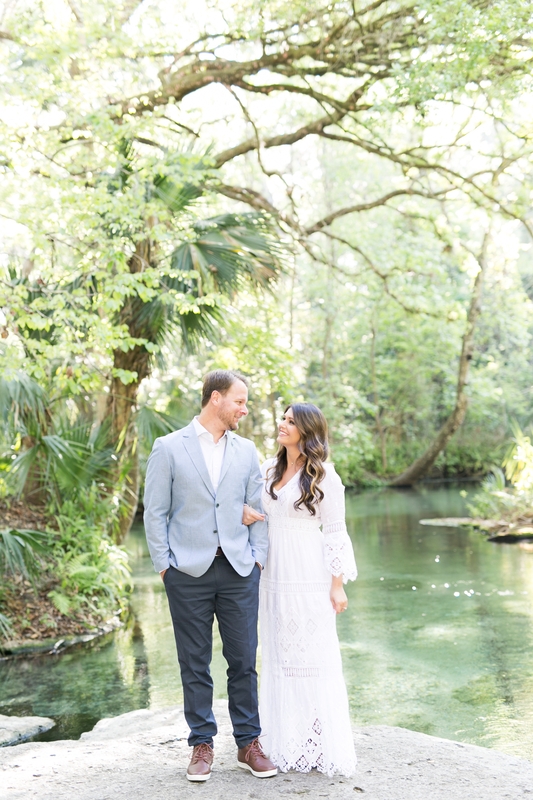 So excited for the wedding day! 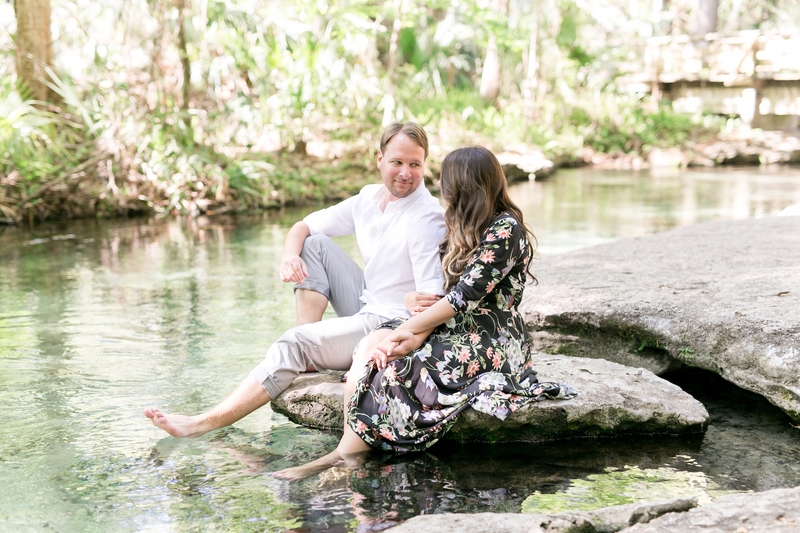 Love Christina’s details she brought to their engagement session. These add the perfect personal touch. 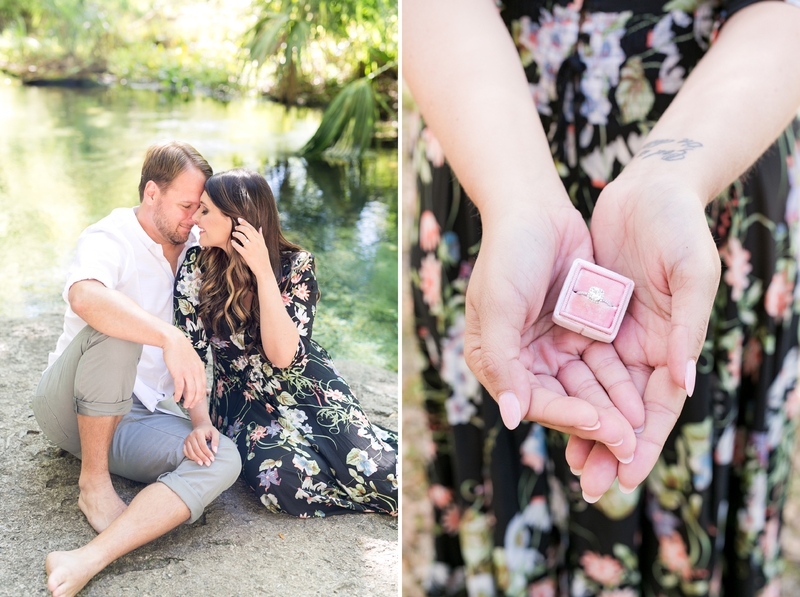 And that pink velvet “The Mrs. Box” is perfection!